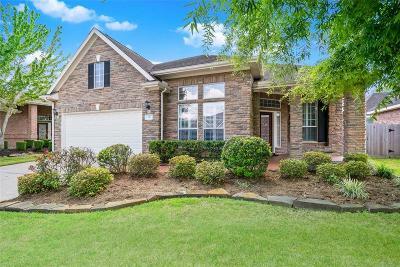 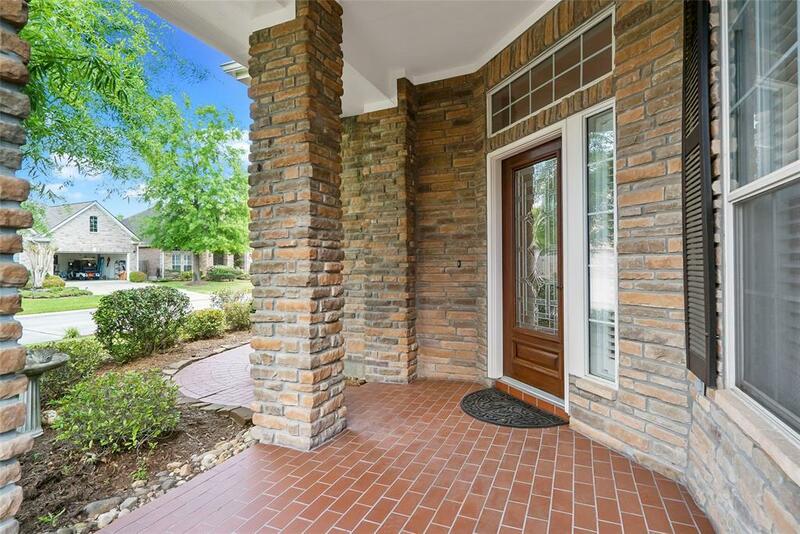 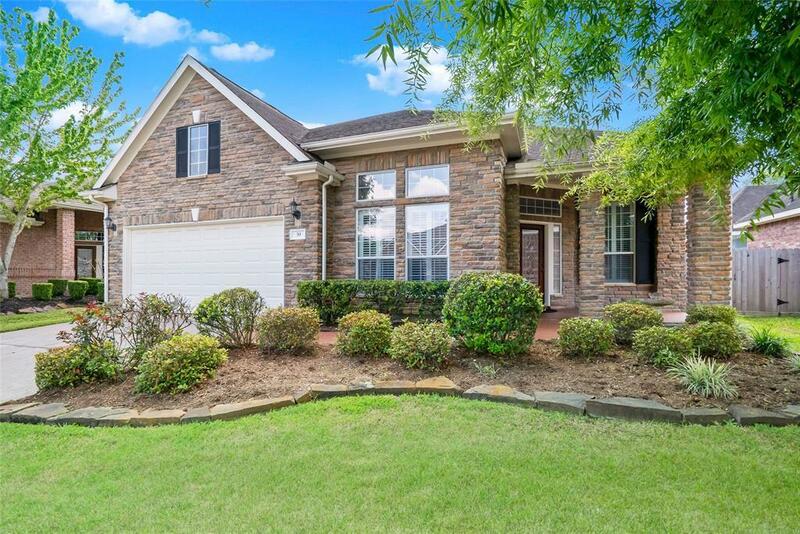 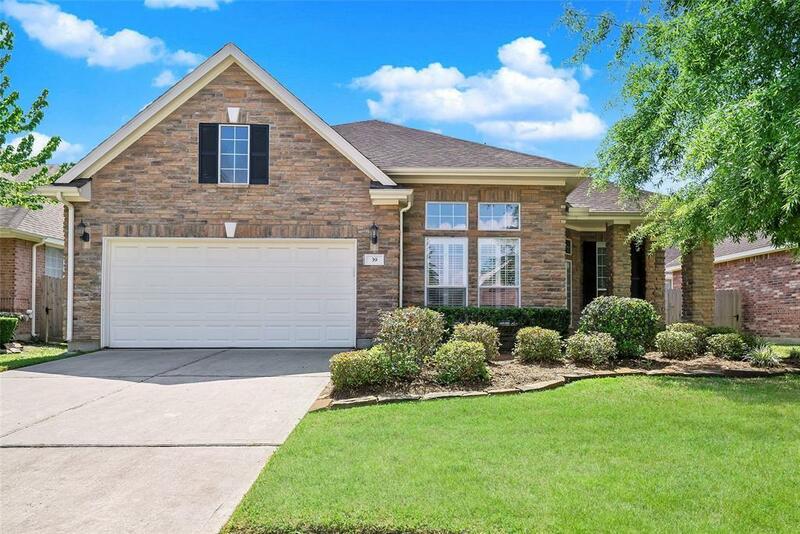 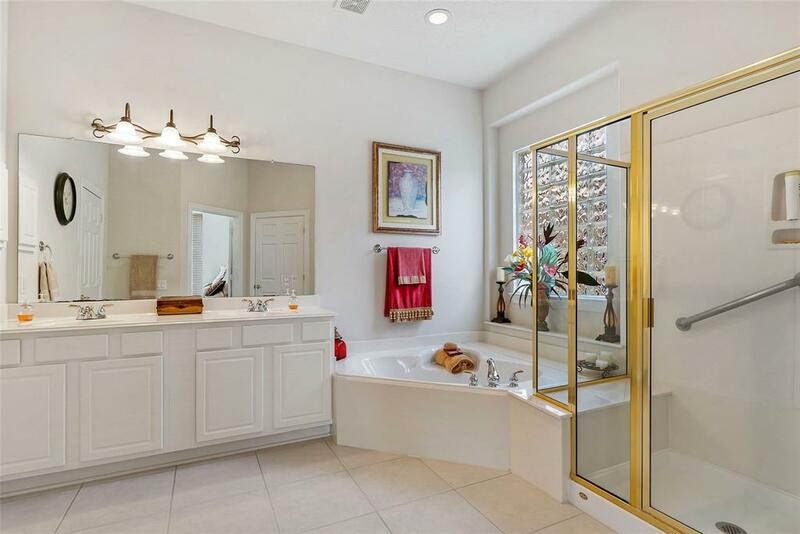 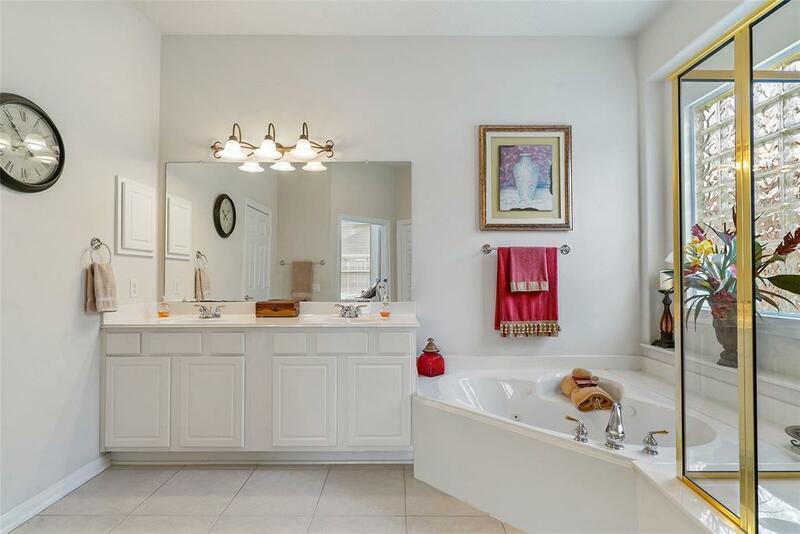 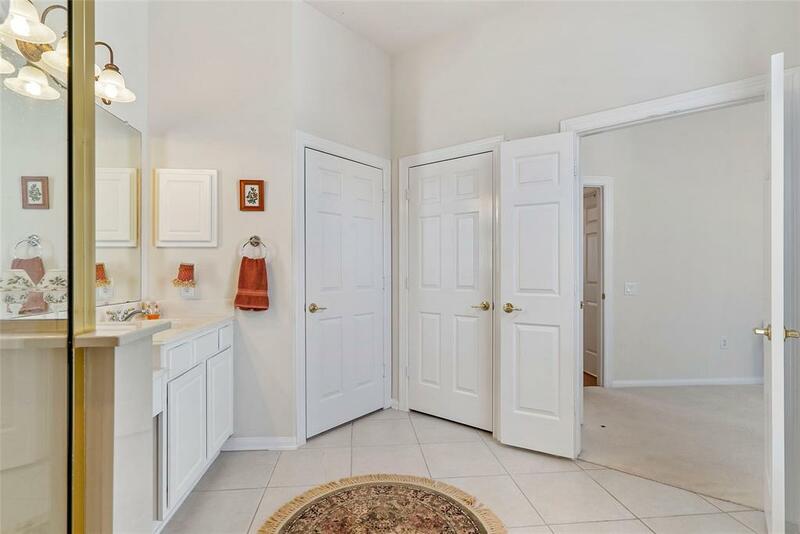 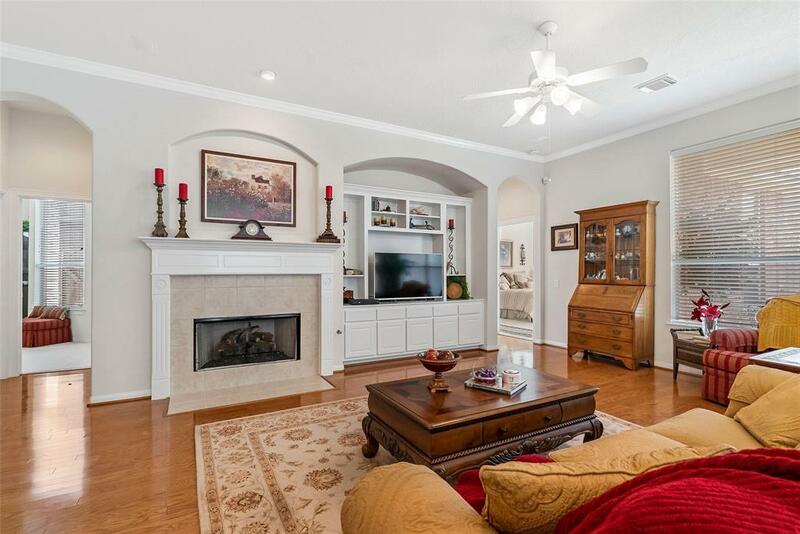 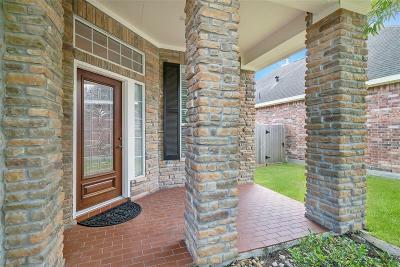 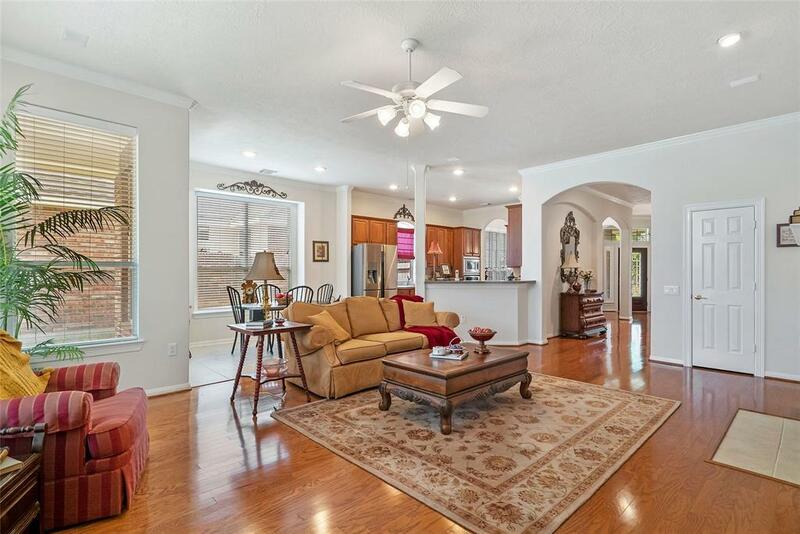 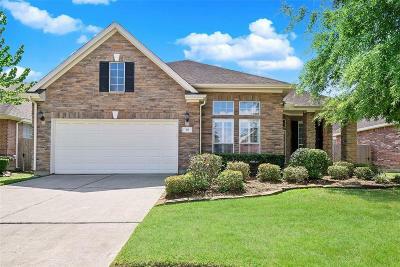 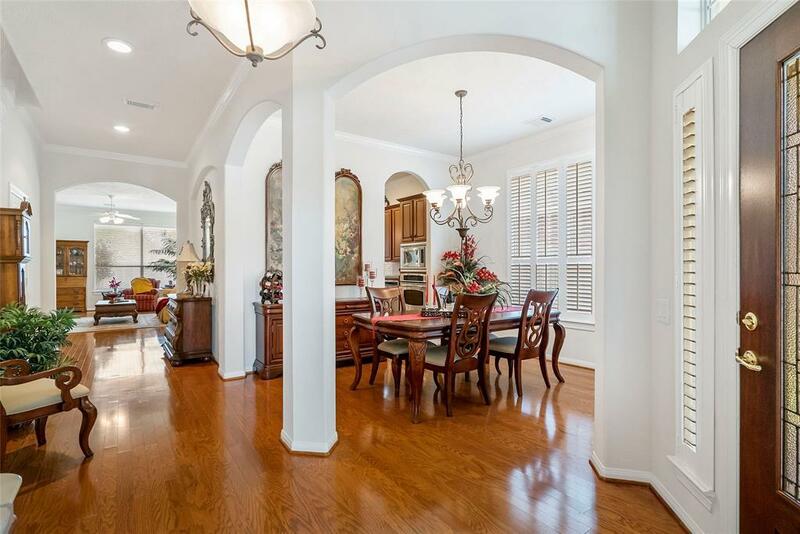 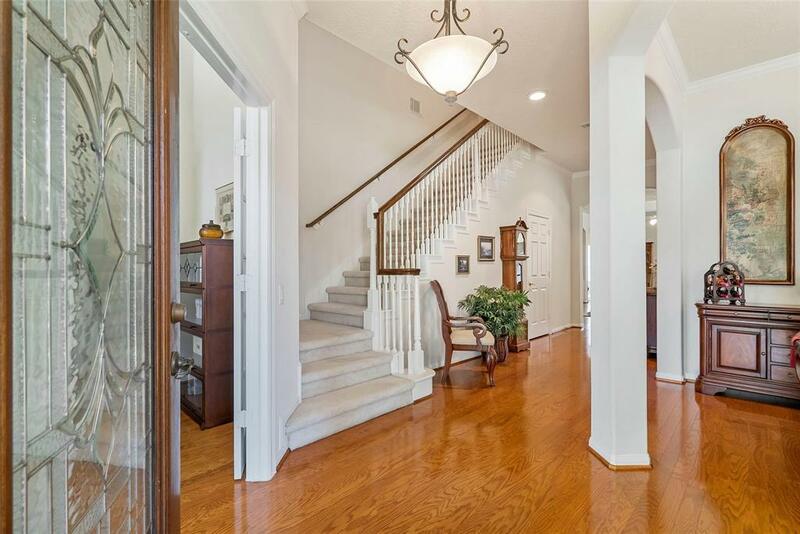 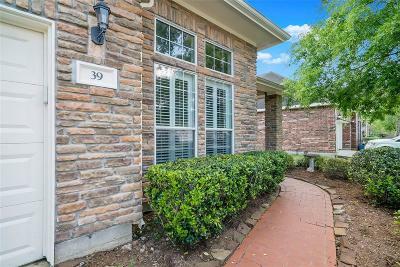 Lovely Stone & Brick Home on One of the Prettiest Culdesac Streets in the Sought-After Over 55 Gated Community of Windsor Lakes! 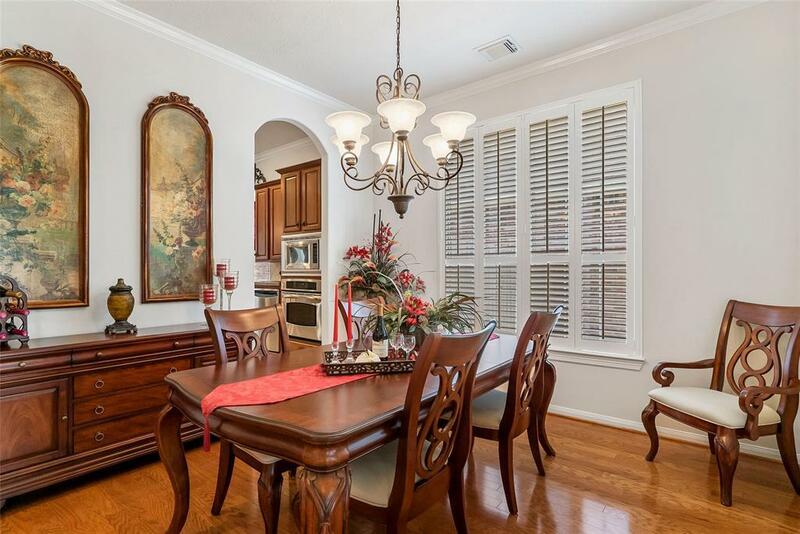 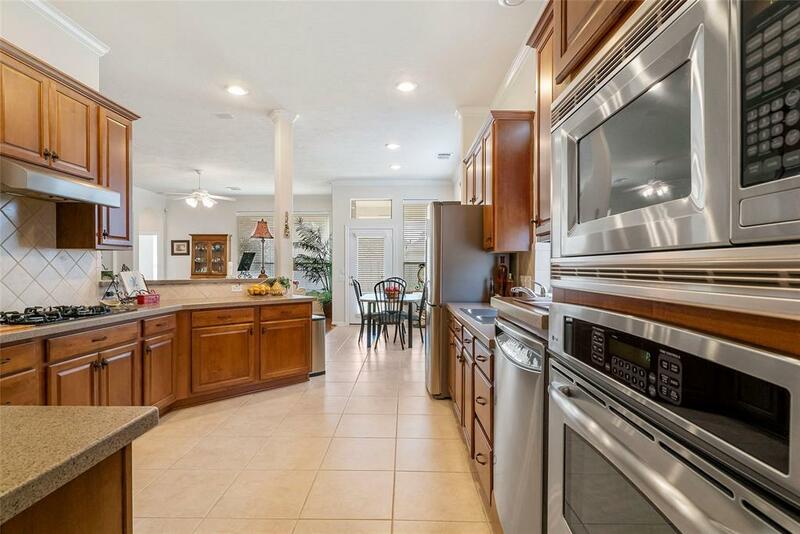 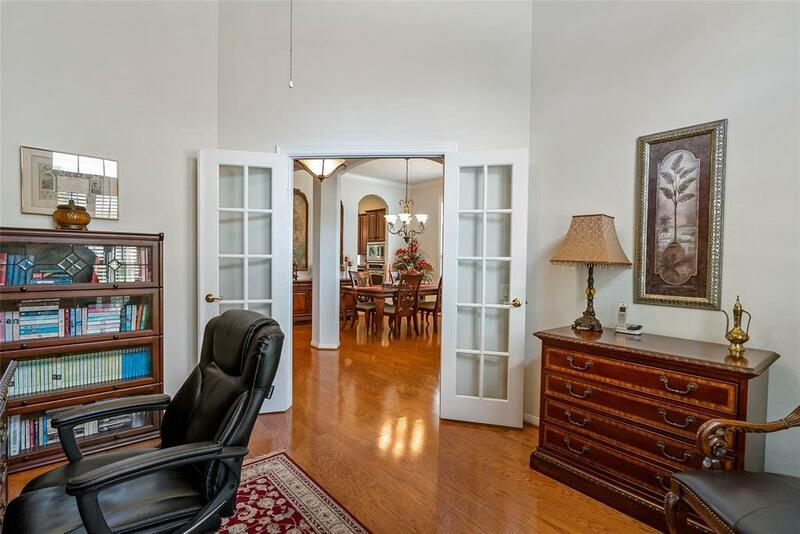 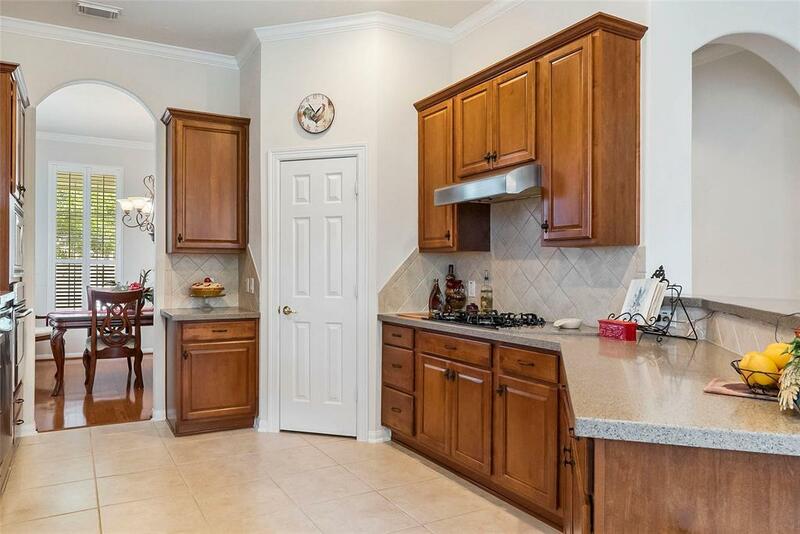 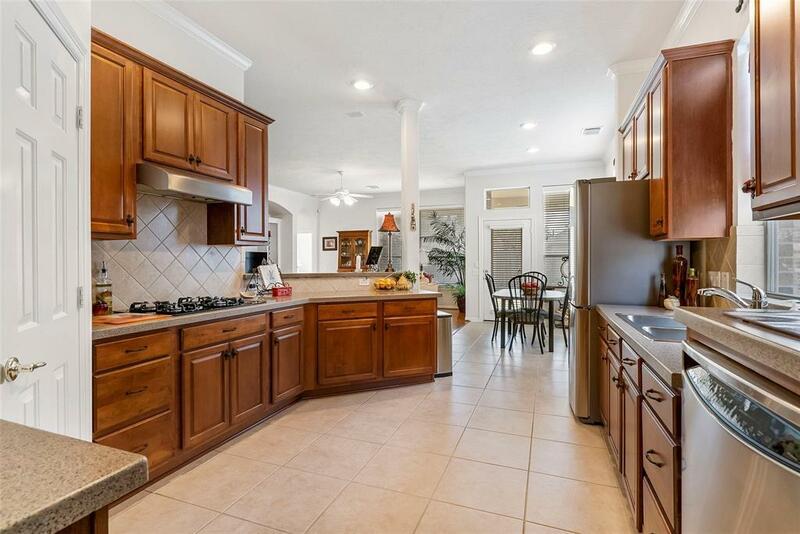 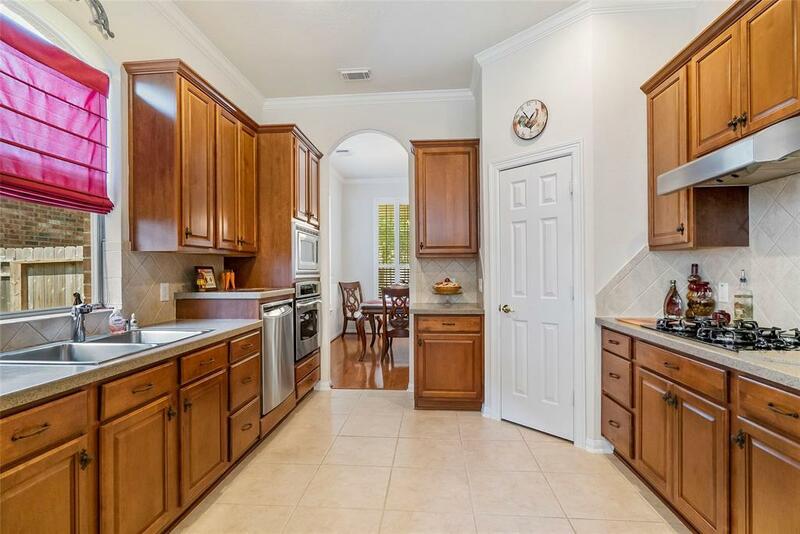 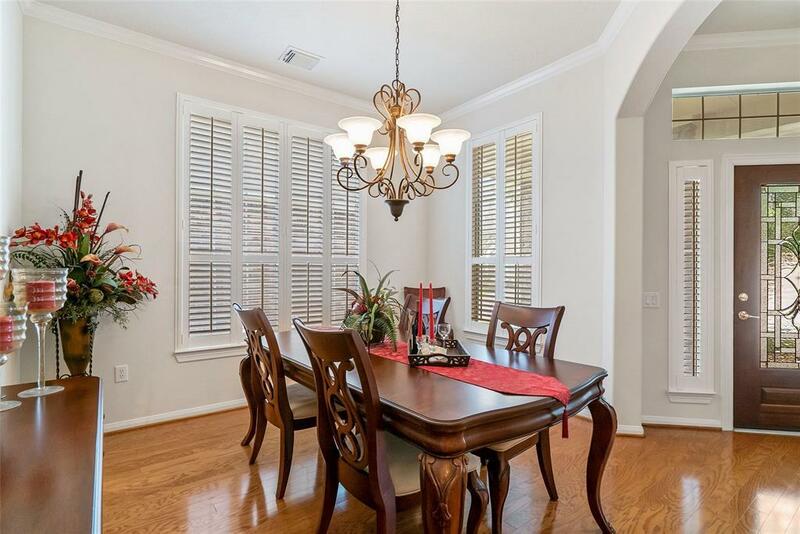 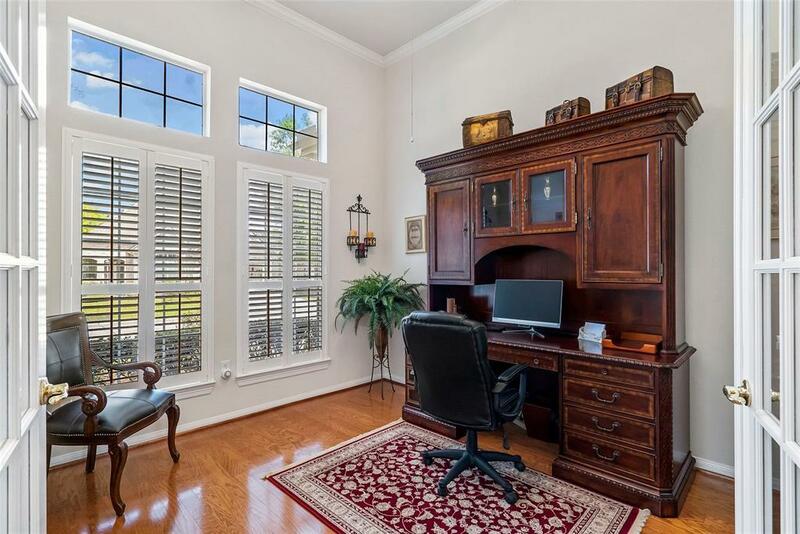 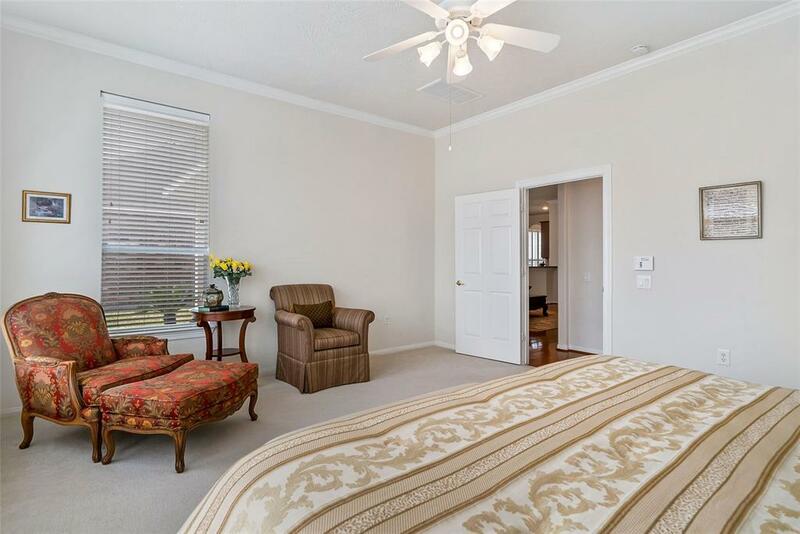 Warm & Welcoming, This Home Has a Great Floor Plan w/2 Master Bedrooms, Beautiful Hardwoods, Plantation Shutters, Private Study w/French Doors, SS Appliances in the Spacious Kitchen w/Rich Maple Cabinets Open to Family Room w/Gaslog Fireplace & Custom Built-Ins Two En-suite Master Bedrooms w/Luxurious Bathrooms & Large Walk-In Closets. 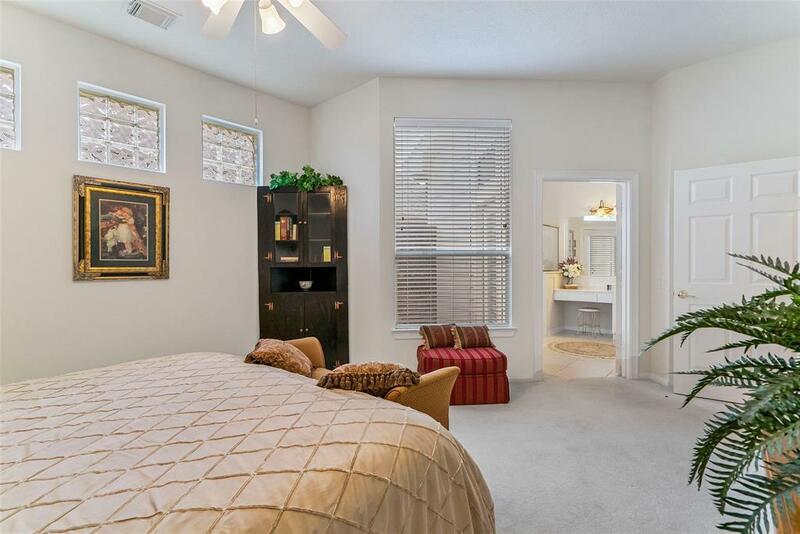 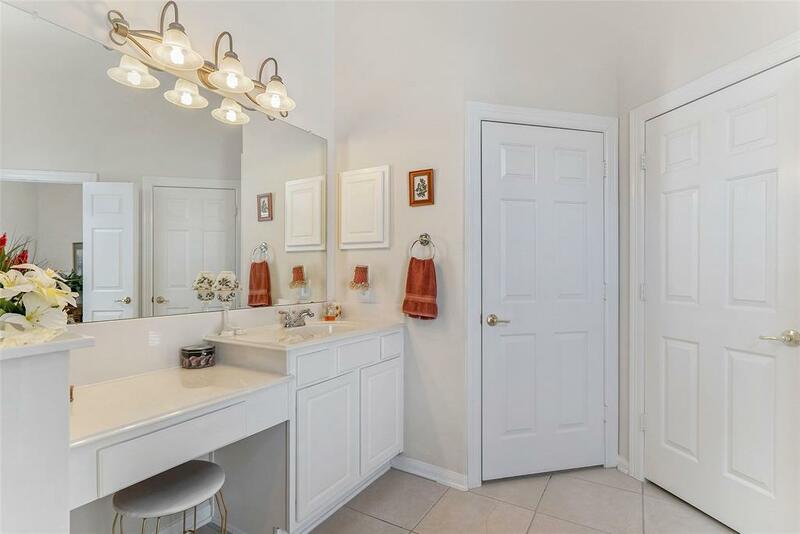 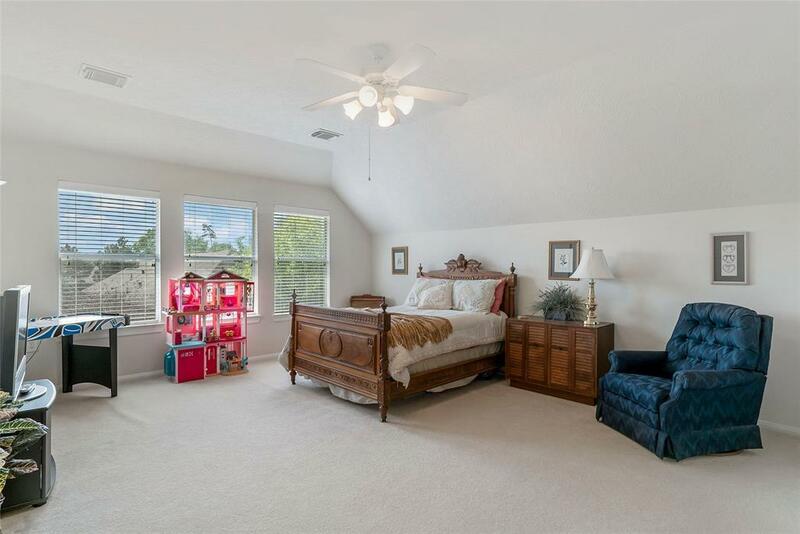 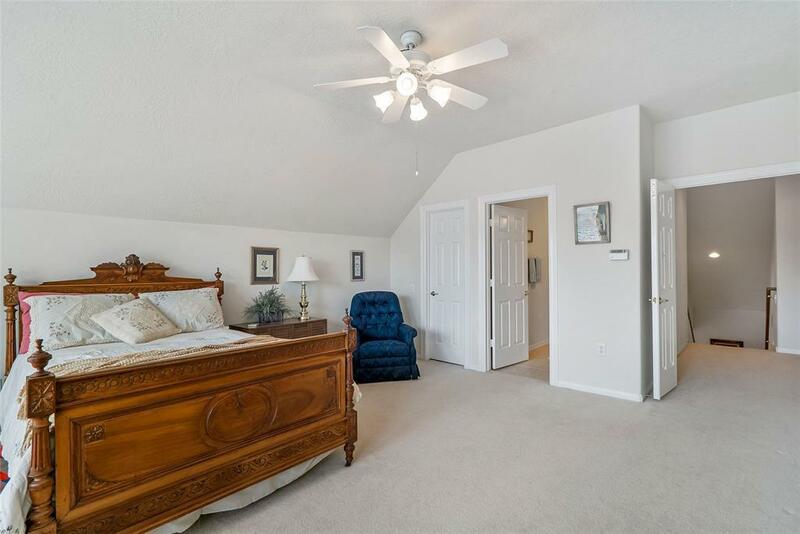 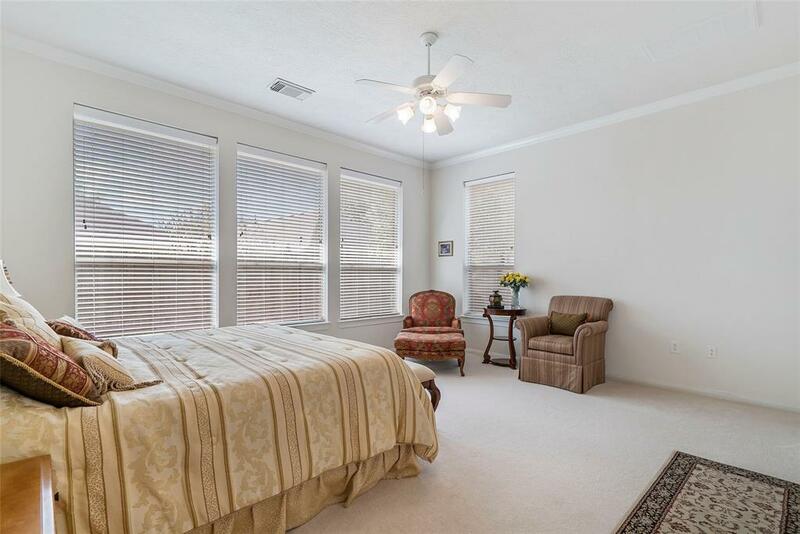 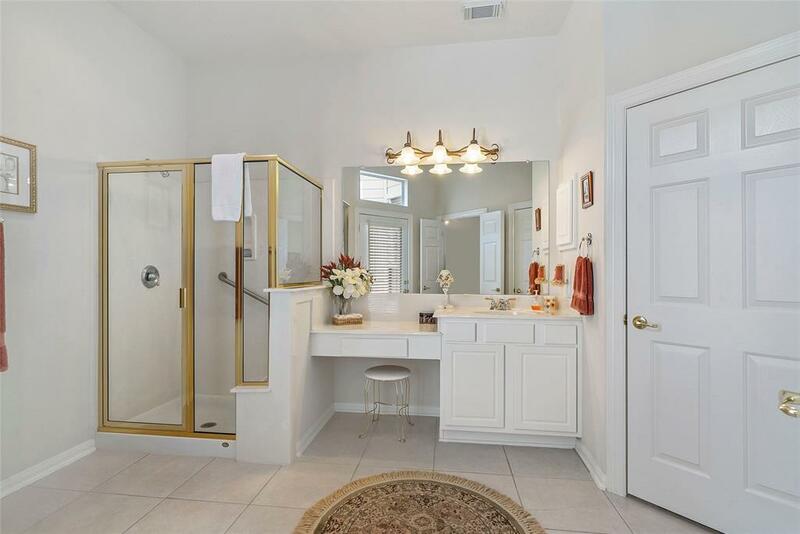 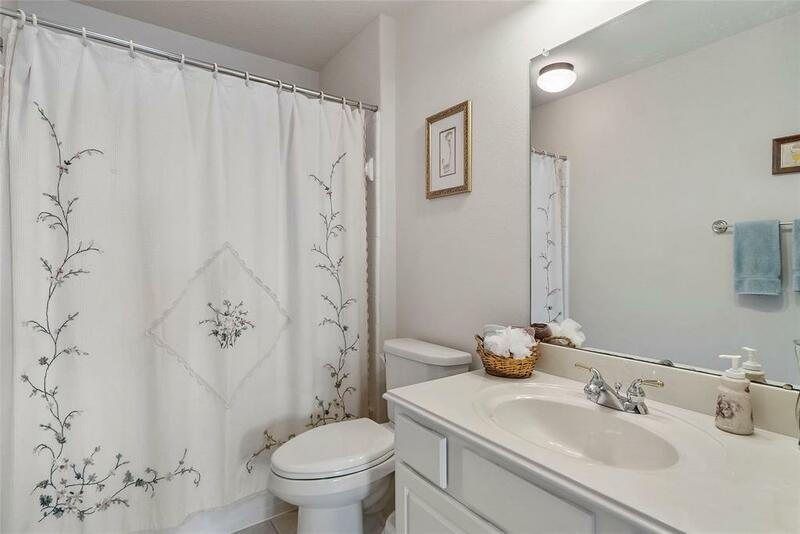 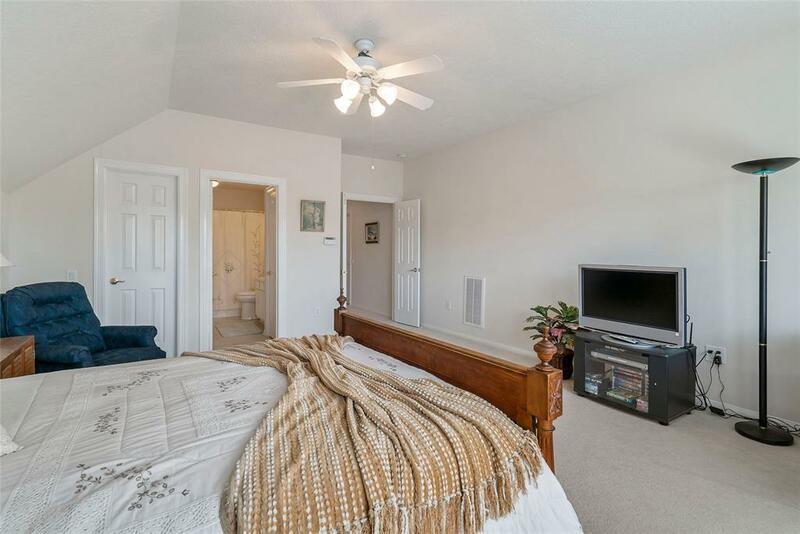 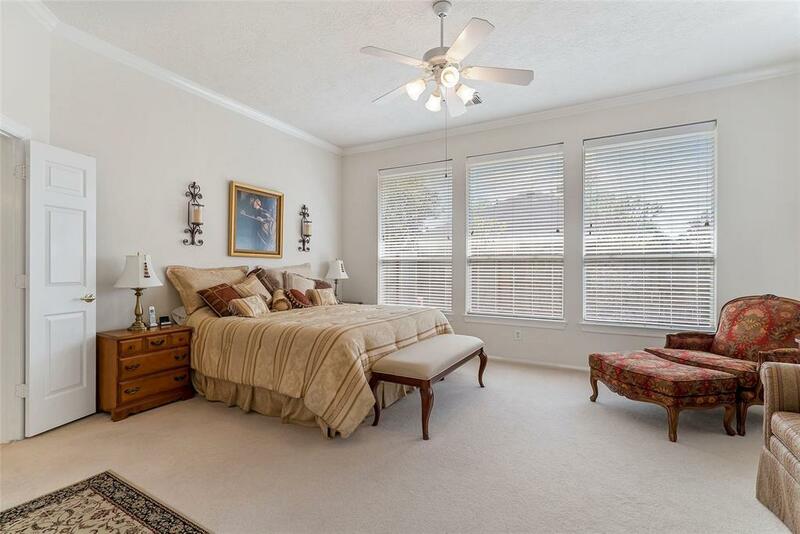 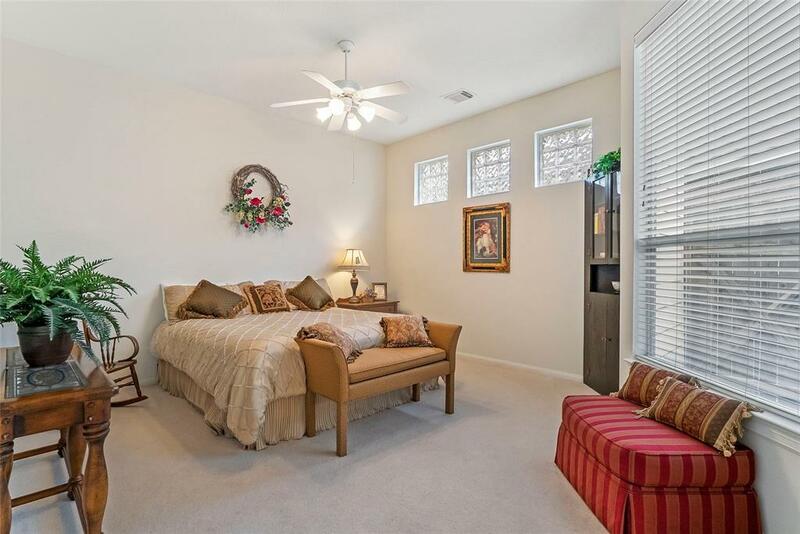 Guest Bedroom/Gameroom/Storage Upstairs w/Full Bath & Attic Storage. 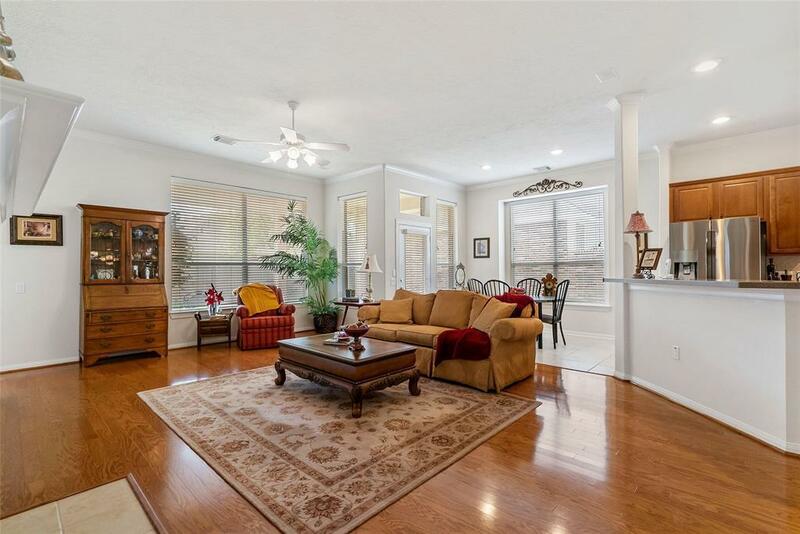 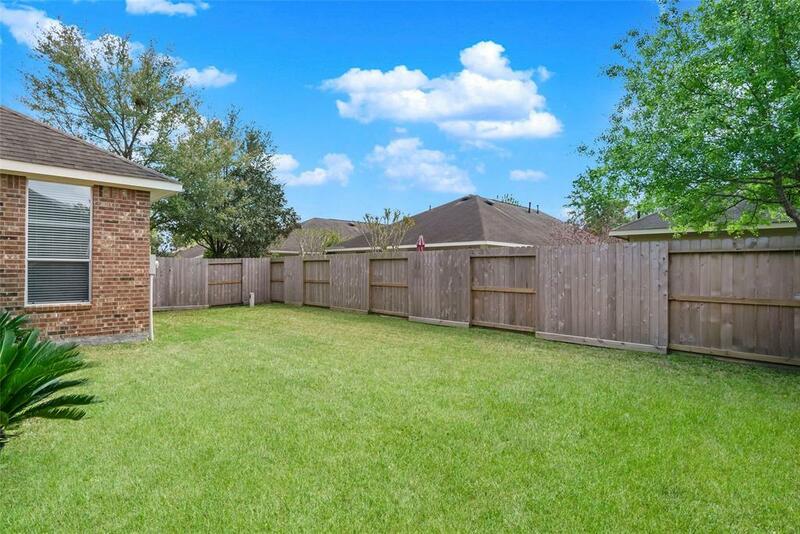 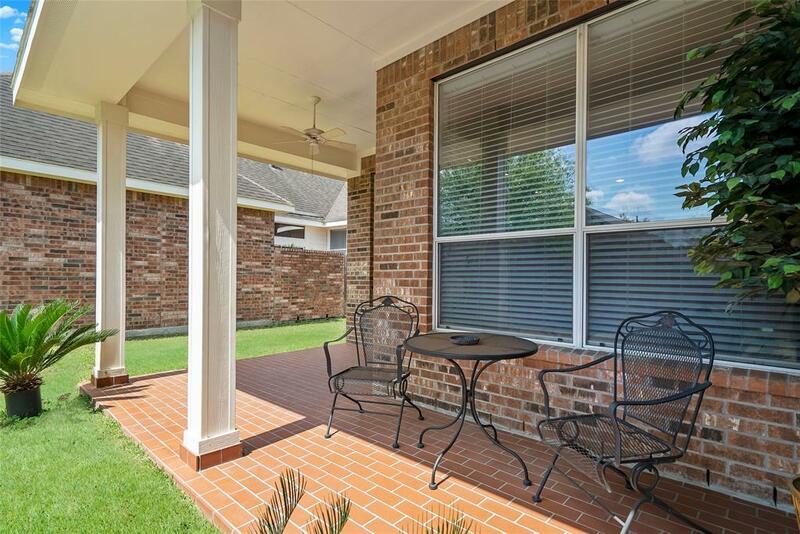 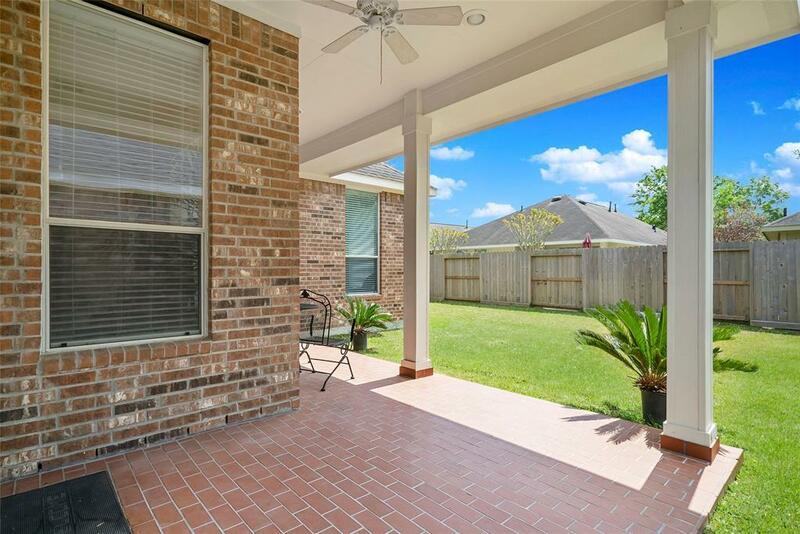 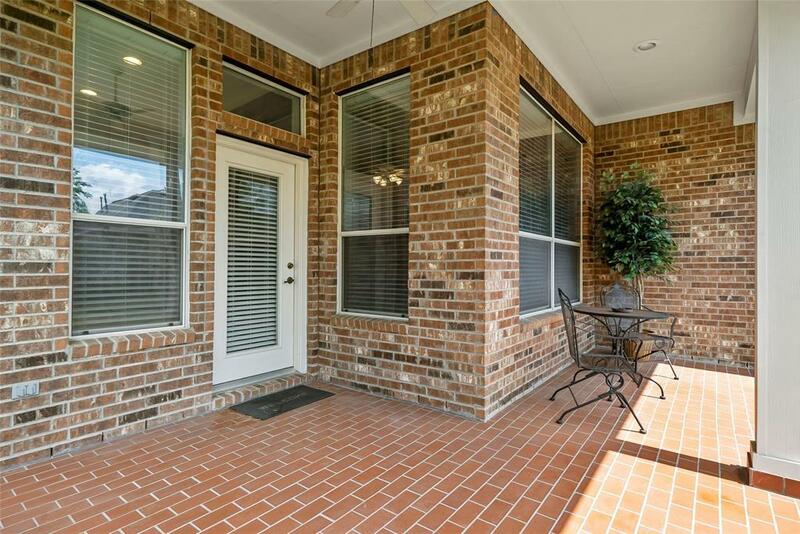 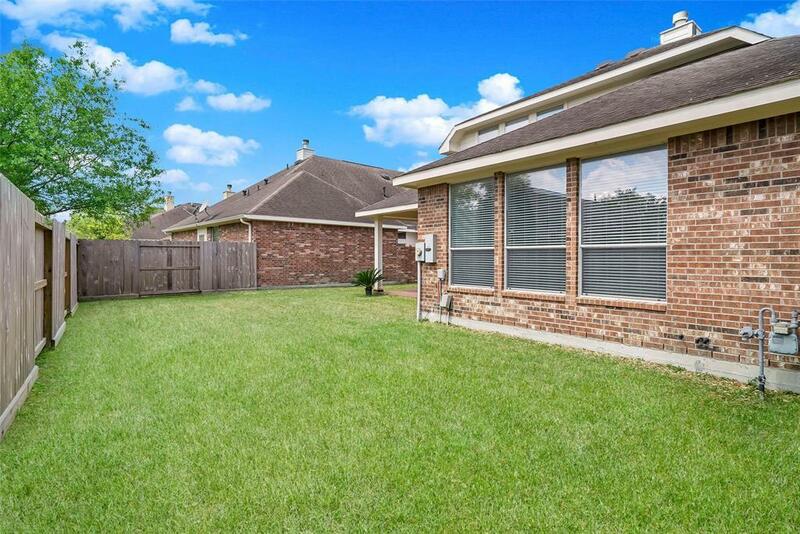 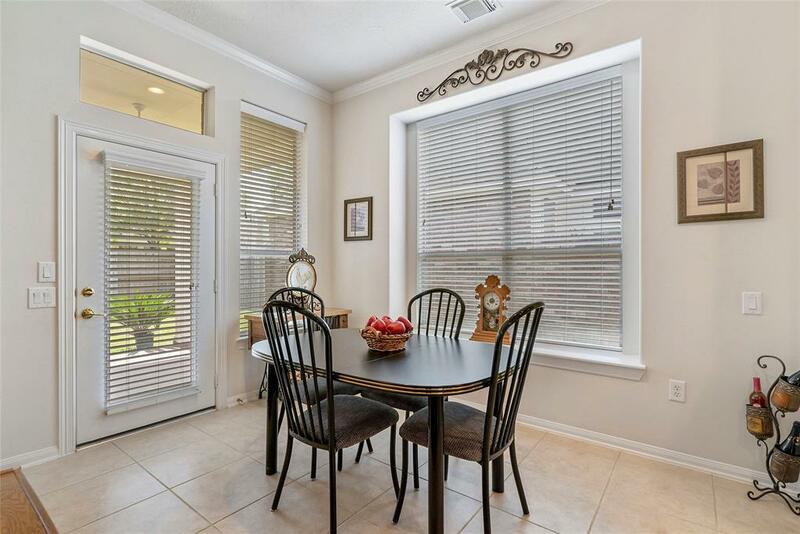 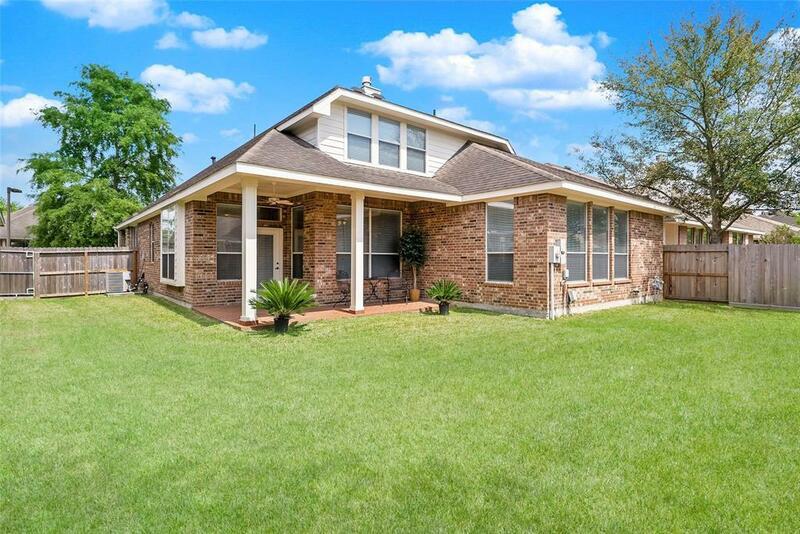 Covered Patio in Back & Beautifully Landscaped, Easy Maintenance Yard. 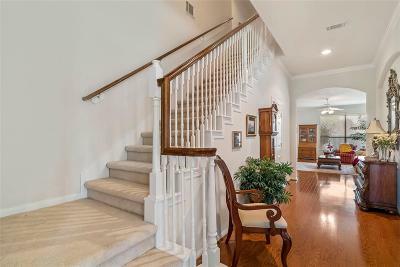 Amenities in Windsor Lakes Include an Outstanding 12,000 SF Clubhouse w/Fully Equipped Fitness Center, Library w/Computers, Arts & Craft Center, Resort Style Pool & Spa, Social Events, Daily Activities & Walking Trails Thru-out the Neighborhood! 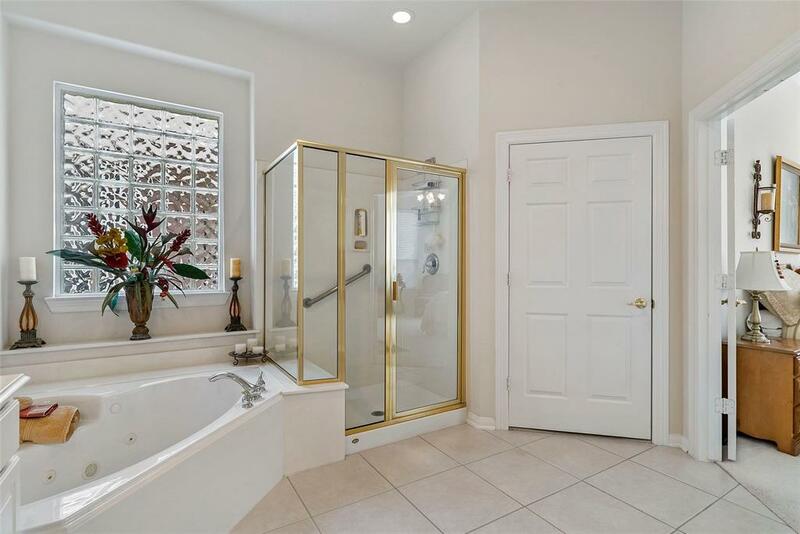 No MUD Tax & No Flooding!